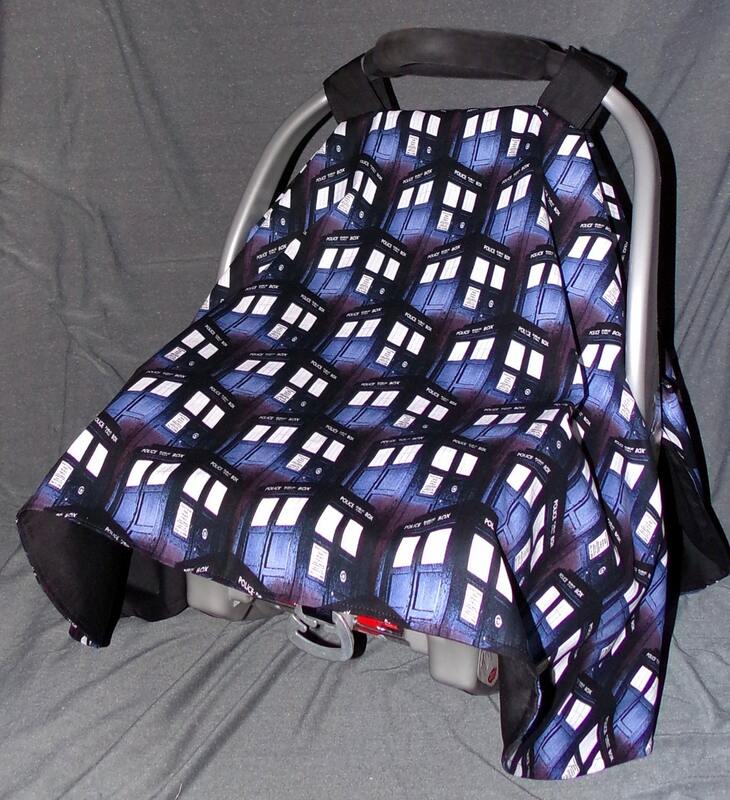 This canopy is the perfect Baby Shower gift for your favorite Whovian. Made with cotton fabrics with a Tardis print on top & a solid black on the bottom. Velcro straps wrap around the handle of the carrier.